It’s here: Xmas 2k15. 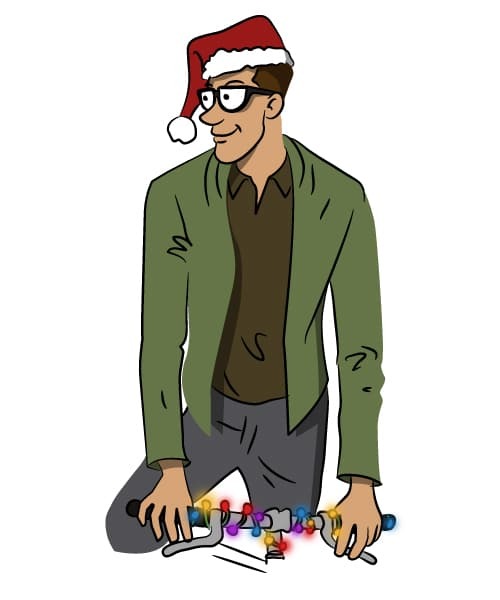 Merry Christmas, Frohe Weihnachten, Feliz Navidad, Buon Natale, Joyeux Noël, メリークリスマス! 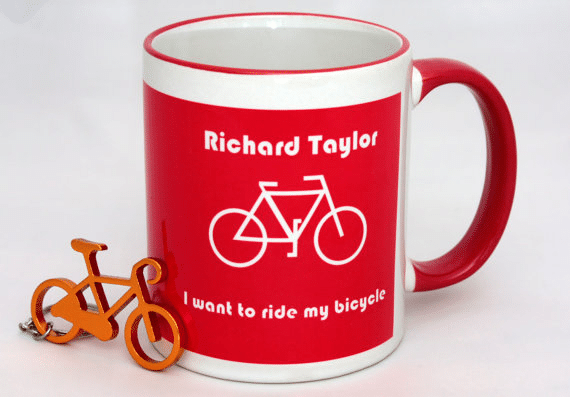 But what is the perfect Christmas gift for the cyclist in your life (short of a bicycle, of course)? 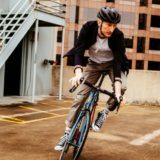 Well, to help you on your way, and to avoid the High Street madness, Discerning Cyclist has picked out 11 chic Christmas gifts for cyclists, all of which can be purchased from Etsy. 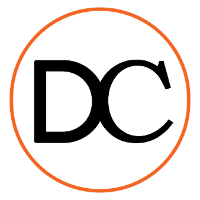 Take a glance at our top picks below. Looking for that perfect personal gift? 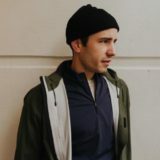 Do you lack the talent/willpower to actually make anything of note? Well, you’re in luck – get someone else to make a personalised gift on your behalf (ahh, the good old interweb…). For the very reasonable price of £8.50, you can get a customised mug (design below) and have a name or message of your wish printed on it. There’s also a vast range of colours available if red isn’t to your liking. 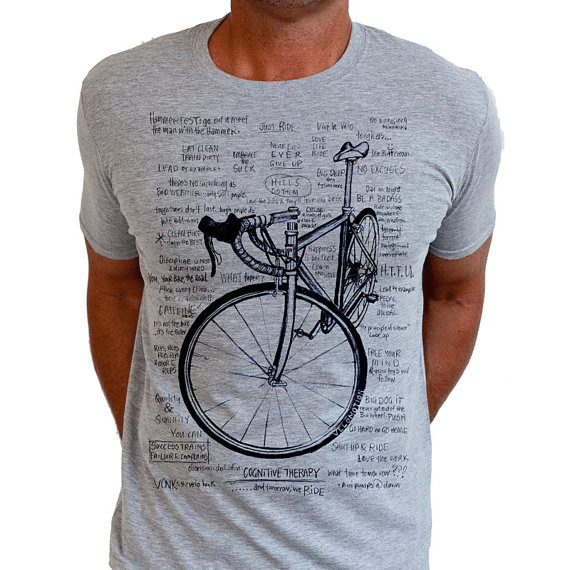 A cracking t-shirt design that is also informative – what more could you ask for!? Also available in black, this high quality “Cognitive Therapy” cotton tee from Cycology Clothing is another solid stocking filler for a loved one. 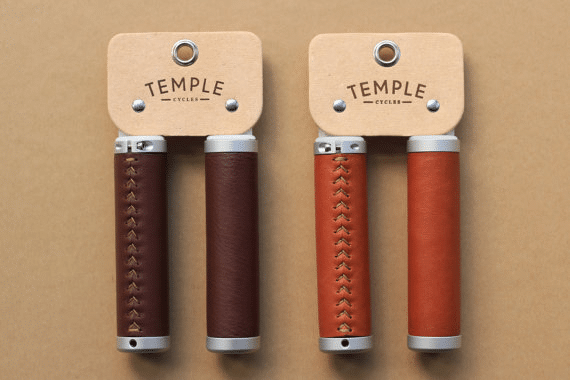 If you’re on the look out for something a little more practical – yet stylish – then take a peek at these super sleek premium leather bicycle grips for handlebars from Temple Cycles. 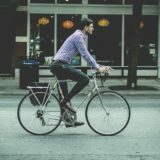 Available in light and dark brown (as well as an ergonomic design), these handmade bicycle grips are easy to install and offer a lovely soft feel and tone thanks to the quality of leather used. I reviewed this unique product back in May, and it’s safe to say I wasn’t disappointed. Is this a novelty gift? Absolutely. Is it brilliant anyway? Most definitely. 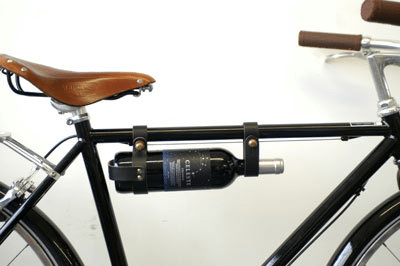 Perfect for picnics or just rolling up to a party in style, the bicycle wine rack can’t help but entice a smile from even the most pensive soul – especially if you have a decent bottle of red to crack open. 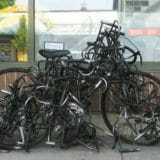 Various sizes for different frames are available. Another customised gem, although a slightly more cheesy – but nonetheless chic – one. 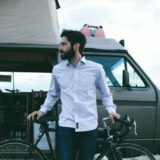 Perfect for those who wish to let people know when you’ve gone for a ride, while saving time looking for pen and paper to leave a note! 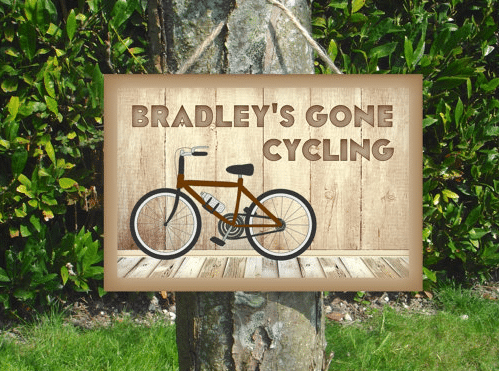 Made from dark HDF wood , this 15x10cm sign is a great bit of décor. For just one pound extra, you can include your own name. 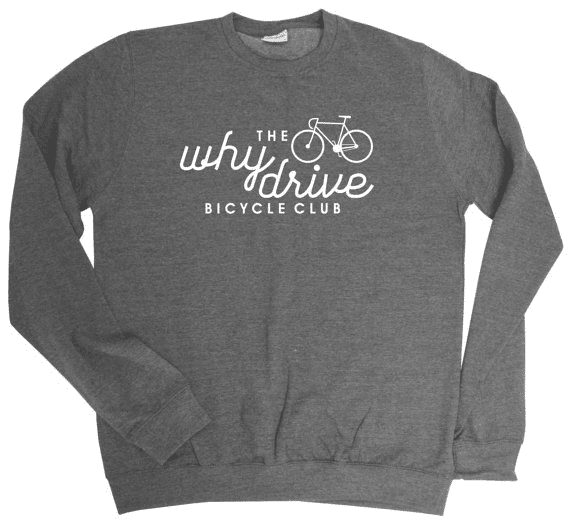 This cool jumper comes in maroon, charcoal and royal blue and is made from 50/50 cotton and polyester. 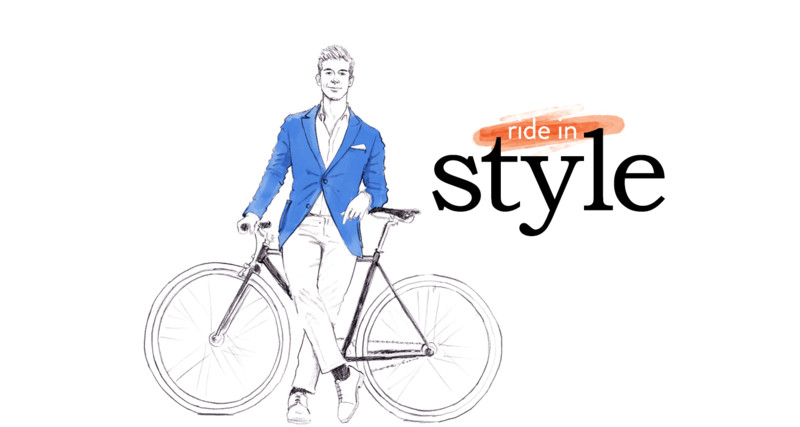 Stay warm in the winter and look sharp in the process. 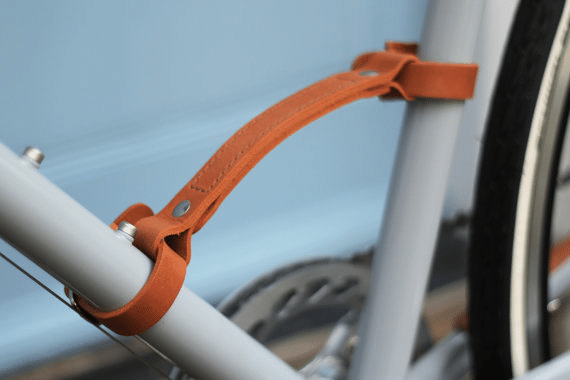 Another chic, practical gift from Temple Cycles, this is perfect for those who live in apartment buildings and have to lug their bike up and down stairs every day. 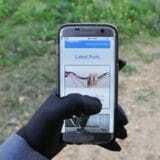 It looks cool, makes your bike easier to carry and prevents getting dirty hands after your ride. Made from premium leather and features stainless steel buckles to complete the chic look. 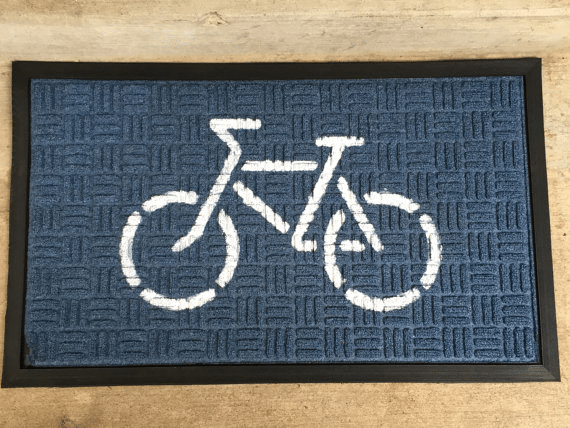 It’s a doormat… with a picture of a bicycle on it. Cool, huh? 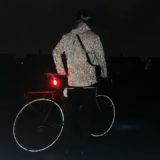 A third and final accessory from Temple Cycles (to be fair they know a thing or two about chic cycling accessories). This handmade, brass-polished bicycle bell will help chic-up any bicycle. 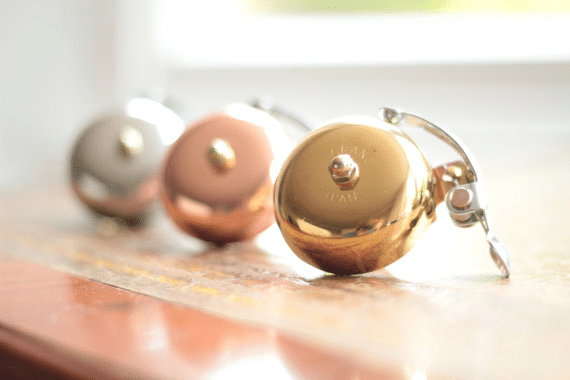 Available in brass, copper or silver, the bell features a timeless traditional design. If you want to show your love of bicycles in the home, then you should certainly take a peak at these lovely wooden coasters (set of four). 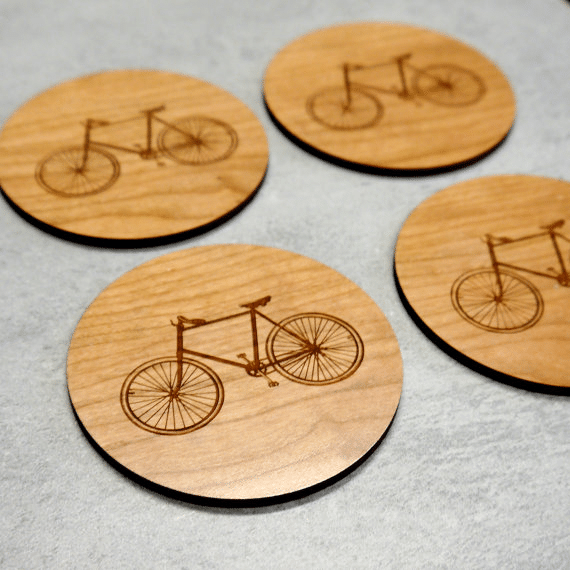 Made to order, these beautiful sustainably-sourced FSC cherry wood veneer coasters are made in Sussex and offer a stylish design with laser etched bicycle illustrations on the surface. 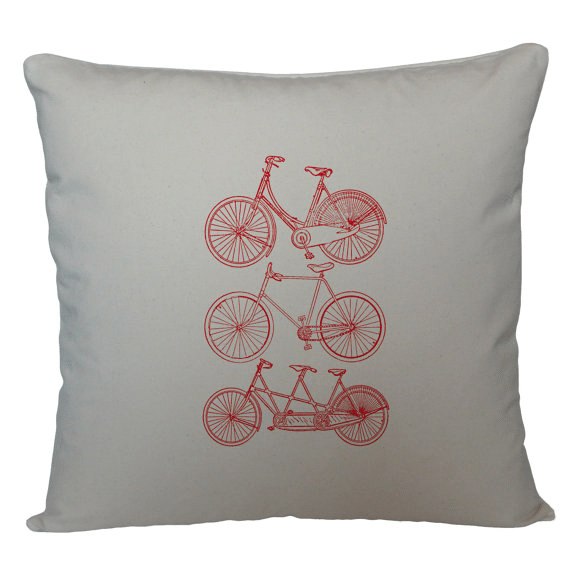 A final piece of home décor, and again made to order in Truro, these elegant cushion cover featuring three bicycle designs in red are a splendid addition to a bed or sofa. Made from cotton and featuring a discreet zip, please remember this is a cushion cover only – no padding included! Have a very merry Christmas, from Discerning Cyclist!